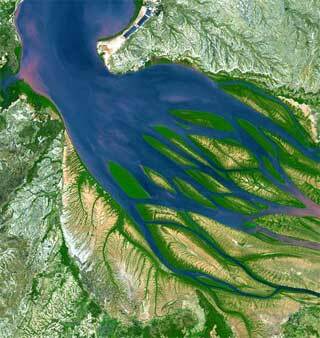 on the northwestern coast of Madagascar. An asteroid is going to destroy the earth, unequivocally, creating enough explosive emotional anarchy to create a fusion reaction between characters played by Steve Carell and Keira Knightley. The asteroid buster has failed and the end of the world is coming. Dodge (Steve Carell) and his wife hear this while driving and his wife runs out of the car, never to be seen again. He’s a decent guy, and while the world melts down around him – regular adults freely using heroin and giving kids martinis, stores getting looted, all boundaries of fidelity broken – he seems to maintain an aura of decency. He gets lined up with his neighbor Penny (Keira Knightley), a young music-lover, and they wind up on a car odyssey trying to find his presumed true love from a long lost high school romance, and to find a way for Penny to get back to see her family abroad. As the social world dissolves into various forms of indulgence and nonsense, they, like the Scarecrow and Dorothy, try to find their ways to some kind of home. And, in some sense, they eventually do, leaping various hurdles as they seek their various points of meaning in the face of apocalypse. Did someone decide before this was made that Keira Knightley and Steve Carell should be paired in a movie? If so, did someone then write a script that would provide the appropriate apocalypse necessary to get them into a dramatic romantic comedy? Did someone think it would really take the end of the world to push them together in all the desired ways? They are indeed an odd couple, and that, it seems, is the point of this movie – strange bedfellows, in the face of the void, often make wonderful companions. In realizing this, the film provides a curious amalgamation of genres – coed buddy movie, romantic comedy and sci-fi apocalyptic epic. Knightley and Carell are both good actors, and when they get their moments, they convey the appropriately vulnerable sentiments. But the writing and direction do not always allow that. Despite the end of the world scenario, the conception of the whole romance, though touching, has something too telegraphic about it. Carell’s respectful, though ironic, sense of decency fuels a romantic appeal, which is very nice. The problem is not that decency in the face of social chaos and cosmic disaster is valued as a romantic inducement. The problem is that its appeal should be evolved believably, not simply as a culmination to fit within the time span allotted. What else, besides the end of the world, drives this relationship? There is not much, actually, but a kind of affection bred from companionship and mutual support. Depiction of that is great, but why turn this into something else? The more believable relationship would have carried more weight. Again, I hear script-meisters cranking their machines, deigning that the two improbable stars collide dramatically, making for a supernova in the space provided. Steve Carell’s humor of ironic self-deprecation seems ideally suited to creating the sort of decent sad sack who can become a romantic hero in certain kinds of comedies. 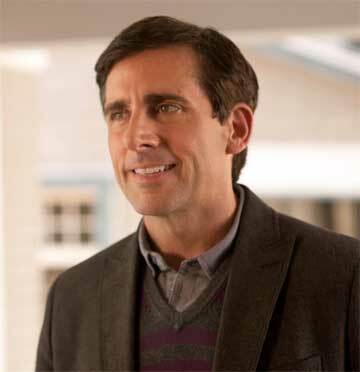 His capacity to turn stiff and ridiculous, as in his long-time reputation making portrayal of office manager Michael Scott in The Office on television, is just a small adjustment away from his capacity to turn vulnerable and reflective as in this film. That ability to do fine-tuning in service of dramatic character transformation is the sign of extremely good acting. 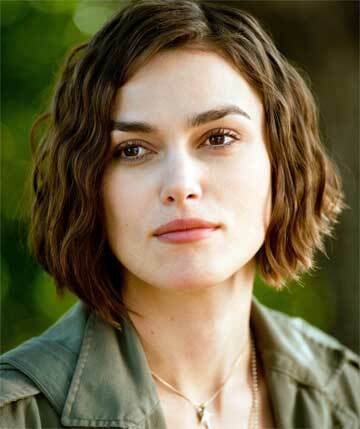 Keira Knightley is a fine actress whose portrayal of thoughtfully simmering passion can be potently drawn out by the right director. That was certainly the case with her superb portayal of Elizabeth Bennet, under Joe Wright’s direction, in Pride and Prejudice (2005). I am not sure that is the case here. She fills the role dutifully well, but seems largely underused. A more compelling direction of this script might have focused Penny’s angular and defiant side considerably better. Here she has youth and verve, but not enough wild stuff to pose sharply against Dodge’s normal guy insurance salesman persona. That would have created some sparks and made this collision of personalities a much more cosmic and appealing affair. Instead, Penny is drawn as somewhat offbeat, but not compellingly so. A dose of Jason Reitman’s angular and offbeat direction of Ellen Page’s character in Juno (1987) would have made Knightley’s Penny edgier and more likely as the unlikely romantic counterpart. And, by the way, as long as we are dealing with sci-fi here, would it not make sense when an asteroid is heading towards the earth and threatening to destroy it to send out a backup mission or two in case the first one fails? Just a thought. There are a lot of sight gags in the film which are entertaining – people weightlifting and mowing their lawns two weeks before the world ends. In that general category, one of the most touching gags involves Dodge’s cleaning lady who insists on coming back on a regular basis in the last weeks of earth’s existence. Now, there’s a hero. This film, too, like the totally different film Your Sister’s Sister, which I also just saw, has a cliffhanger ending, leaving the audience wondering what really happens. This whole approach is getting a little too trendy for my tastes. Can we move along and get a little more Shakespearean-style satisfaction in some of these outcomes?